Mitsubishi Black Diamond Solar PV Panels are tailored to suit New Zealand conditions, built to last and backed by local on-going support for future years to come. With over 40 Years of manufacturing experience and innovation, you can be rest assured you are investing in one of the most reliable, high quality systems engineered to stand the test of time. The decision to purchase a Solar PV system is a long term investment, meaning no compromises should be made when choosing a brand name that you can trust to be there for you in the long run. 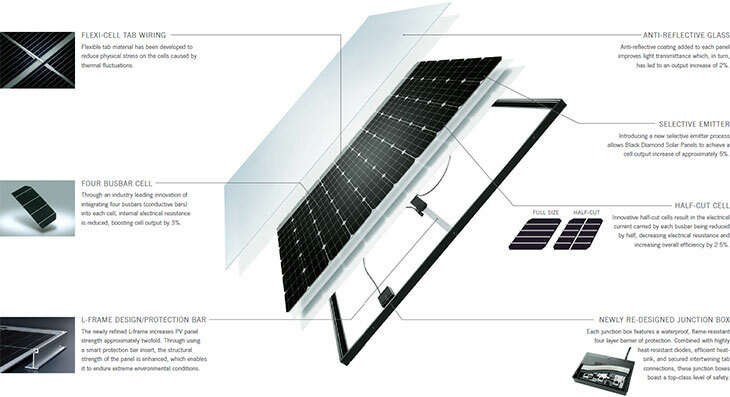 Mitsubishi Electric’s philosophy for manufacturing photovoltaic products comes from three unwavering basic principles: superior technologies, the highest quality, and long term reliability. The Mitsubishi Electric difference lies in all of the small details that add up for outstanding performance. Use the solar calculator to find the right solution for your home.